At Wasatch Midwifery, we specialize in the care of women who will give birth at home or in our birth center. Our midwife and doula services will provide comprehensive care to mothers during prenatal, labor and delivery phases. 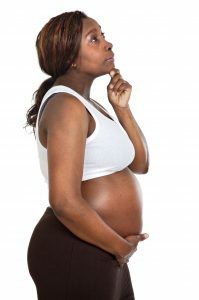 Why do more and more women choose a home birth today? Let’s take a look at some of the benefits of giving birth at home. Not all home birthing practices follow the same model, but virtually all of them have a continuous care approach. The midwife and doula you’re introduced to at the beginning of the process are there all the way to the end, and you’ll have tons of time to ask questions and get to know their services. You’ll get individualized, respectful care that’s catered to your needs. In many cases, postpartum periods in the hospital can be stressful. There is staff moving around often, and lots of items you have to do with your baby before you can go home. It’s possible to receive the same level of care at home in a way that’s more relaxing and respectful of your need to connect with your new baby. Some hospitals have restrictions on visitors, especially during winter and flu season. For those who want a sibling or someone else present at all times, a home birth is a perfect solution. Hospitals offer restrictive diets for mothers, so your food can lack variety. Giving birth at home allows you to have a full range of your favorite meals on hand, prepared in your own kitchen by people you know. If you’ve given birth before in a hospital and everything went well, you’re a prime candidate for a home birth next time around. Having given birth with no complications is a big predictor of being able to do so again. For more information on why a home birth might be right for you, or to learn about any of our midwife services, speak to the pros at Wasatch Midwifery today!